Yesterday I received in the post samples of Hemp fibre sheets look here. Fascinating stuff, all natural composites. These fibres sheets come from the German company J. Dittrich & Söhne Vliesstoffwerk GmbH. I intend to form these sheets into the shoe structure and fit the wool felt sock inside. I will explore the “soft hard” combo as I did in the felt shoes and add the Acrodur binder (resin substitute) to the structural parts. On Monday this week I received my wool felt from Daimer. Wednesday further treats arrived with the Durapulp from Sodra (paper pulp), and Flax sheets from Norafin. 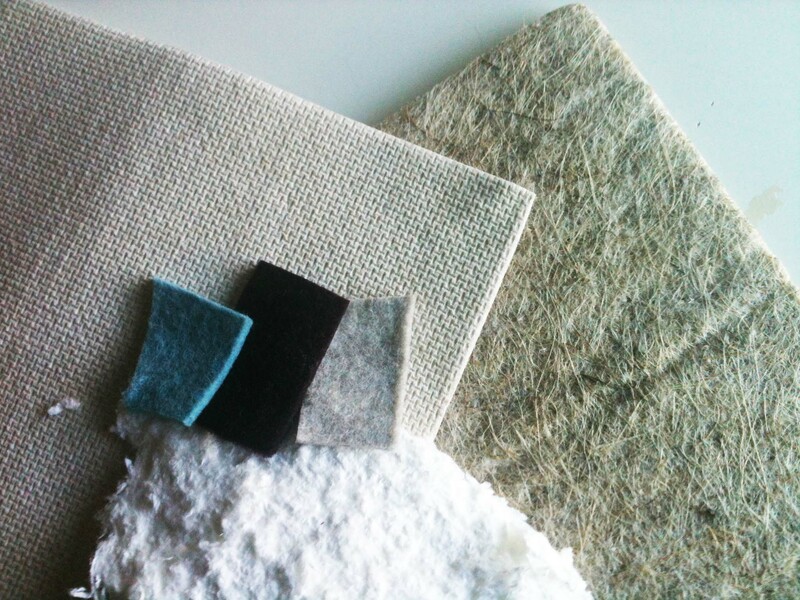 But these intriguing “industrial” materials raise a big issue such as boundaries of acceptable “luxury” materials. We can now have “plastic” jewellery, heals and accessories but throw a natural, industrial composite and are we creating the equivalent to a burlap dress!?! not to forget just about every major fashion brand is manufacturing in China, often at the same factories as mid level high street brands. I think we have come to a point where there are way more factors than exclusivity by a limited material resources and hand craftsmanship to define Luxury. Kind of similar to the fact that money is no longer a direct representative to gold! 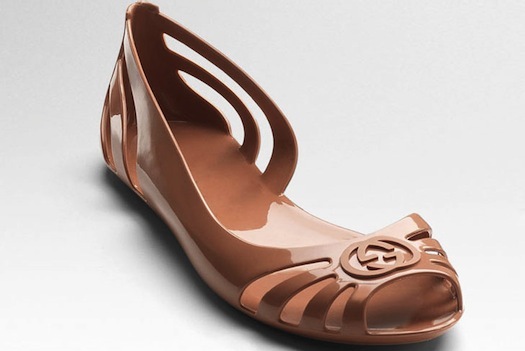 Luxury for the big fashion brands is all about perception. So with the big Brands changing perception of “luxury” especially in regards to materials is there scope to do my favourite thing by subverting the expected norm? Remember I didn’t change the rules but I am sure going to enjoy playing with them! I think globalisation, Brand marketing and fast fashion had us fooled for a while when we were so desperate to “own a piece of the brands” to give us an identity, a tribe, a community. Then media exposure, internet transparency and social media demystified this and now a new emerging factor is pushing into the “definition” of luxury items and materials. Maybe luxury and sophistication is more about how things work in our lives. There was a time when we used the properties and characteristics of materials to make our wears function better emotionally and in practical terms. Lucy Seigal writes in her book “To Die for” of how we have lost the ability to distinguish one material form another and how this has lead to a degrading of the qualities of the materials in our wardrobes. But something else has happened since our new century began. One of the hottest, refined must have personal items is you guessed it the Apple I Phone. In fact this “product” works so well we take it for granted. Plus the style is anonymous and goes with everything. What happened is it’s presence has blended into our perception of what quality design is. And as mentioned before fashion is all about perception. So our “products” because fashion items or vice versa? How do we define the pleasure of the smoothness of the interface on our Apple products? And how does this experiential usage influence our expectation in the qualities of Luxury items? I give people credit and once they have lived with great product design functions it alters their own definition of luxury. At this same time we are in an age of questioning authority. We no longer trust our polititians, our bankers, we google our health concerns instead of taking verbatim everything our doctors tell us, and this includes the marketing of big fashion brands. Apple retail structure has been so successful big fashion houses such as Prada are modelling themselves on it. Apple can do this because they do have a good product and are leaders in innovation. So how does this relate to our definition of “Luxury” materials? Good news it means if it feels good and functions well in use and in relation to our wider community it is, Bingo!, luxury. A review of the book Trading Up by Silverstein and Fiske covering the analysis of the changing luxury market is interesting…. …merchants never underestimate their customer; they shatter the price-volume demand curve; they create a ladder of genuine benefits (i.e. technical, functional, and emotional benefits); they escalate innovation, elevate quality, and deliver a flawless experience; they extend the price range and positioning of the brand; they customize the customer’s value chain to deliver on the benefit ladder; they use influence marketing to “seed” success through brand apostles (i.e. “evangelism”); and finally, they continually attack the category like an outsider. What Silverstein and Fiske offer in this volume is a rigorous analysis of those companies which continue to be most successful in the New Luxury economy. They also explain in detail precisely HOW they achieve such success. So back to using “non” luxury materials? Yes I believe if you can offer the owner of footwear something innovate, forward and unique, based on a functional premise you can like Apple put the technology (materials in this case) out there to the market and consumers will change their behaviour and perception to accept previously deemed industrial materials into a luxury context. Everything changes we just need to educate the eye on these special qualities…. PreviousPrevious post:Binders and Non-wovensNextNext post:Designing a collection or designing a classic?